Posted on August 22, 2015 by Kelsey H.
I was so excited to get my hands on this book! I had heard such great things about it for a couple of years now, so I couldn’t wait to start reading. However, I was not as thrilled with this book as I had hoped to be. I know this will be controversial because many people loved this book, but I really did not connect with the characters or the story in the way I thought I would. So here’s a quick summary of the book: *WARNING THIS DOES CONTAIN SPOILERS* Miles, a high school junior, leaves Florida to attend a boarding school in Alabama. There he meets and befriends his roommate “The Colonel” and his friends Takumi and Alaska. As time goes on, Miles falls in love with the spontaneous, rebellious Alaska despite the fact that she has a boyfriend and that people tell him crazy stories about her. Miles becomes caught up in the Colonel’s pranks, games, drinking, and drugs and he realizes that this is the “Great Perhaps” he was searching for. One night towards the end of the book, Miles and Alaska kiss and fall asleep in her room. But a phone call in the middle of the night wakes Alaska and she goes hysterical screaming that she has to leave. So Miles (nicknamed Pudge by the Colonel) help her escape unnoticed by the deacon of the school. The next day they find out that Alaska was killed in a car accident on her way to wherever she was going the night before. Pudge and the Colonel are miserable blaming themselves for her death. Pudge decides to investigate the reason behind her leaving and whether or not her death was an accident or a suicide. The book ends with Pudge forgiving Alaska for dying-suicide or not- and writing a school paper about the “way out of the labyrinth” as Alaska had asked her classmates before her death. I liked how Green portrayed raw qualities of teenagers rather than the perfect good students in most books. The main character falls in love with an emotionally unstable girl-that’s not something every book does. I still thought it was a good book; there were just some things that bothered me. For instance, I did not like the actual plot of the story because it felt like there was no purpose to the events. Prank after prank you feel, as the reader, that something big is going to happen, but when it happens it doesn’t bring closure, instead it brought disappointment. I also really did not like how the entire second half of the book is Pudge’s depression over losing Alaska and his inability to do anything about it. Only the very end of the book brings closure to the story. And yet still, after finishing the book I felt as though Pudge’s story was insignificant. And maybe that was the point, I can see how Green might have had a greater point that I missed. Regardless I wasn’t the biggest fan of this book. There could have been more to it-more characters, major events, something pleasing to the reader. I still praise John Green as an author because I loved Paper Towns and The Fault in Our Stars but this is not on my top ten books list unfortunately. Feel free to leave a comment about what you thought of this book! 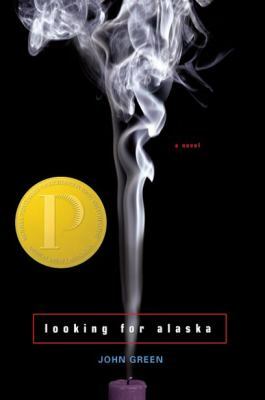 Looking for Alaska is available for check out from the Mission Viejo Public Library, Overdrive, and Axis360.